When Abigail Wexner initiated the New Albany Classic Invitational Grand Prix and Family Day in 1998, she saw it as a way to combine two of her passions: horseback riding and helping central Ohio families. “I was really looking for a different kind of unique event that could be used as a fundraiser, and although it doesn’t seem like the two would marry, I really wanted to be able to do something for the sport of riding because I love it so much,” Wexner says. It’s safe to say she’s succeeded in both those efforts. Since its inaugural year in 1998, the Classic has raised more than $18 million in funding for the Center for Family Safety and Healing – and has inspired a new generation of riders in the New Albany area. guests to date in 15 years. Many of those are children, brought by their parents to enjoy the games, carnival rides, entertainment and, of course, horses. One of those children was Ali Wolff, who moved to New Albany from Upper Arlington in 2000 at age 11. Already a rider, Wolff found the Classic – with its field of U.S. Olympians and top international talent – inspirational. Competing in her own back yard was a new challenge for Wolff. “It was more nerve-wracking,” she says. “You have your friends and you have your family there.” Being in front of the New Albany crowd is “one of the greatest feelings,” Wolff says. Competitors for the Classic are chosen based on worldwide rankings – the top 25 riders are selected. And, as an invitational, the competition is open to a handful of others at Wexner’s discretion. A total of about 30 riders compete for $125,000 in prize money. “We’ve got a couple of wild cards that we can include,” Wexner says. Wolff was one of those wild-card riders in the past, as was New Albany resident Gabriela Mershad, who competed in the Classic for the first time last year. In subsequent years, including this year, Wolff has qualified for the event. In July, she won a Junior/Amateur-Owner Jumper Prix in Traverse City, Mich. The last 15 years have seen an incredible increase in the popularity of horseback riding in the New Albany area, says Nicole Parrill, a New Albany High School graduate and owner of Hunters Court Farm just outside New Albany. The sport of riding teaches discipline, dedication, responsibility and sacrifice, Wolff says. “I’ve had to grow up a lot faster than my friends,” she says, explaining that the growth came with taking care of a live animal. Wolff has noticed a change in attitude toward the sport even since she graduated from Columbus School for Girls, where most of the other students participated in school sports or ballet. There are a lot more riders now, she’s noticed. “I don’t get the weird looks anymore when I walk around in britches,” she says. Though Wexner herself didn’t ride as a child – she grew up in New York City – she developed a love for the sport beginning in her late teens. The barn on the Wexner property in New Albany is known as Abigail Stables, and she rides as often as she gets a chance. She hopes to see more New Albany riders at the Classic in the future, and with the number of local riders, including several students from Hunters Court who compete in local riding events and have attended the Classic, that possibility is very real. 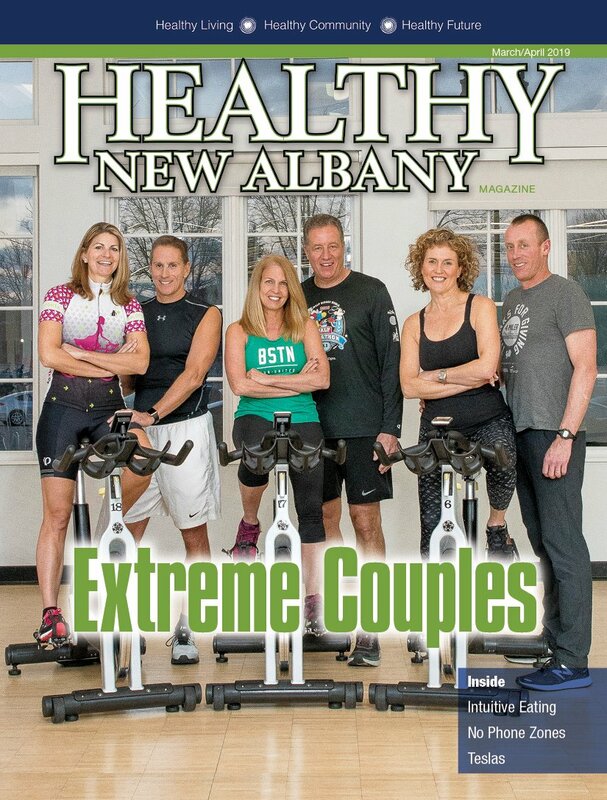 Lisa Aurand is editor of Healthy New Albany Magazine. Feedback welcome at laurand@cityscenemediagroup.com. $20 per person, ages 11 and older. Children 10 and under, free. Tickets must be purchased in advance.